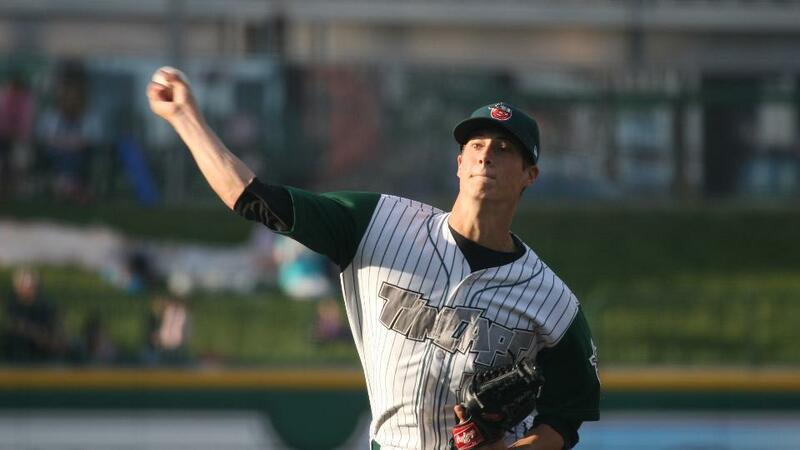 Matt Wisler, of Bryan, Ohio, made his MLB debut at 23 with the Atlanta Braves in June. "It never gets old turning on the TV or looking in the newspaper, and seeing our former guys succeeding at the highest level," TinCaps President Mike Nutter said. "Sometimes you can see their big-league ability while they're here, and other times it's not as obvious. That's all part of the fun of watching Minor League Baseball." While 12 former Fort Wayne players appeared with the San Diego Padres - with whom Fort Wayne has been affiliated since 1999 - Fort Wayne was represented with at least one player on 25 of Major League Baseball's 30 teams. The only exceptions were the Mariners, Phillies, Red Sox, Royals, and White Sox. "Parkview Field is a great modern facility for our players," said Padres Director of Player Development Sam Geaney. "And with the great crowds in Fort Wayne, our players at this level get the opportunity to have a small preview of what the big leagues are like, helping to set them up for future success." Fort Wayne has been a member of the Class A Midwest League since 1993. Though hard to believe, one member of the inaugural Wizards team is still pitching, and will be in the playoffs. At 42, LaTroy Hawkins of the Toronto Blue Jays is the oldest player in the majors. Over his 21-year MLB career, Hawkins ranks 10th all-time in games pitched (1,042). The Wizards were affiliated with the Minnesota Twins from '93-98. In addition to Hawkins, Torii Hunter '94 (Twins), A.J. Pierzynski '95-96 (Braves), and Michael Cuddyer '98 (Mets) are the only remaining active former Fort Wayne players who came up with the Twins. From a more contemporary standpoint, in 2015, 13 former TinCaps made their debut in The Show, including Washington Nationals shortstop Trea Turner, who was in Fort Wayne just last year. Only 2008 has seen more former Fort Wayne players debut in a single season. That year 14 former Wizards broke through to the big leagues. On the list of 54, 13 were members of the 2009 TinCaps who won the Midwest League title. In total, 19 players from '09 have reached the majors, which is an all-time record for a Class A team. Perhaps no former Fort Wayne player had a better 2015 season than Corey Kluber '08 (Indians), the reigning American League Cy Young Award winner. The right-handed starting pitcher finished second in the AL in strikeouts with 245 and fourth in Wins Above Replacement at 5.6. The previous record for most Fort Wayne alums to play in a major league season was 51 in 2014.